Will started tattooing in 2003. He works primarily in an illustrative style rooted strongly in traditional american and traditional japanese motifs with influences including Victorian ornament, sacred geometry, and art nouveaux. After many years of city life, he settled in quiet historic Franklin, Tennessee in 2009. With over a decade in the industry, his respect for the medium continues to grow and is matched only by his excitement for what the future holds for tattooing. Aware of how much tattooing has changed in the last twenty years, his motivation is providing the very best custom artwork available while encouraging his clientele to be as involved in the creative process as possible. 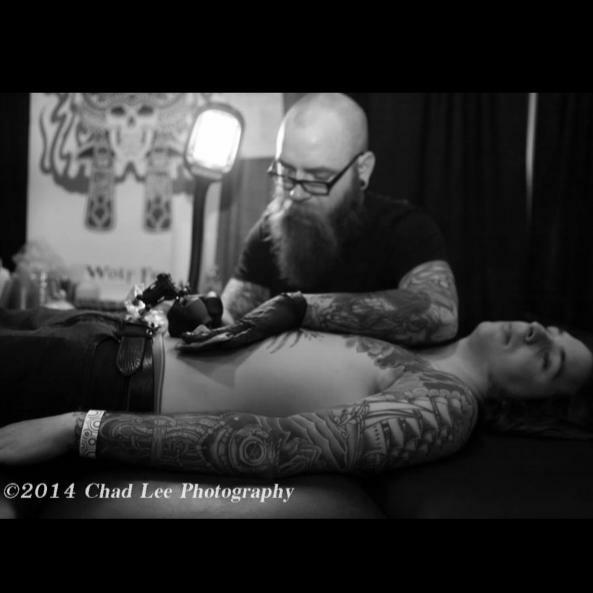 Large or small, he believes in giving each tattoo the same amount of respect, attention, and energy. So, whether your tattoo is a name or a sleeve, he will endeavor to give you the very best art that he is capable of in a safe, comfortable, clean, fun, and upscale environment.